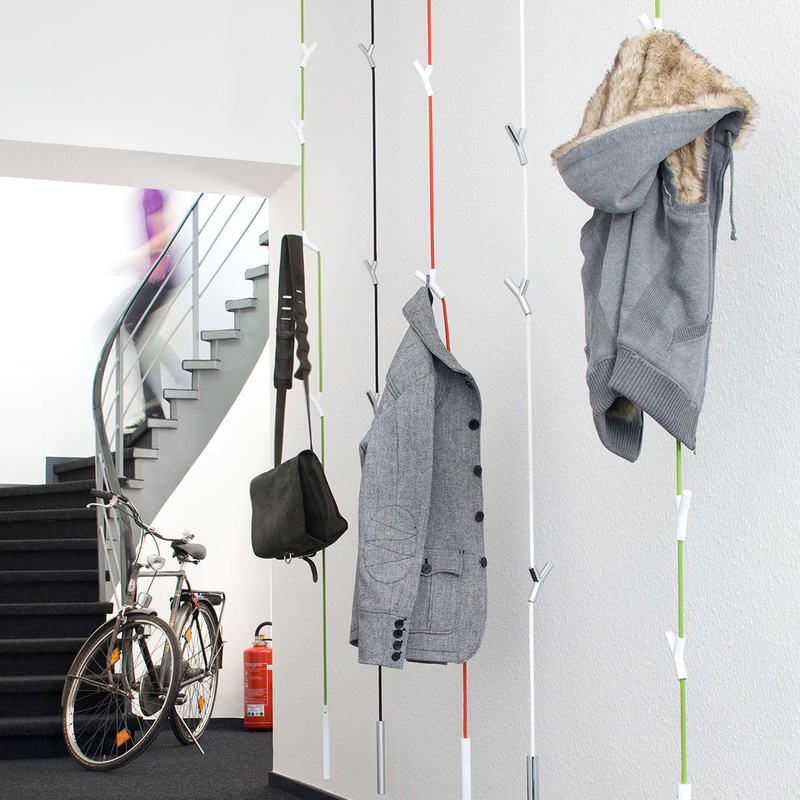 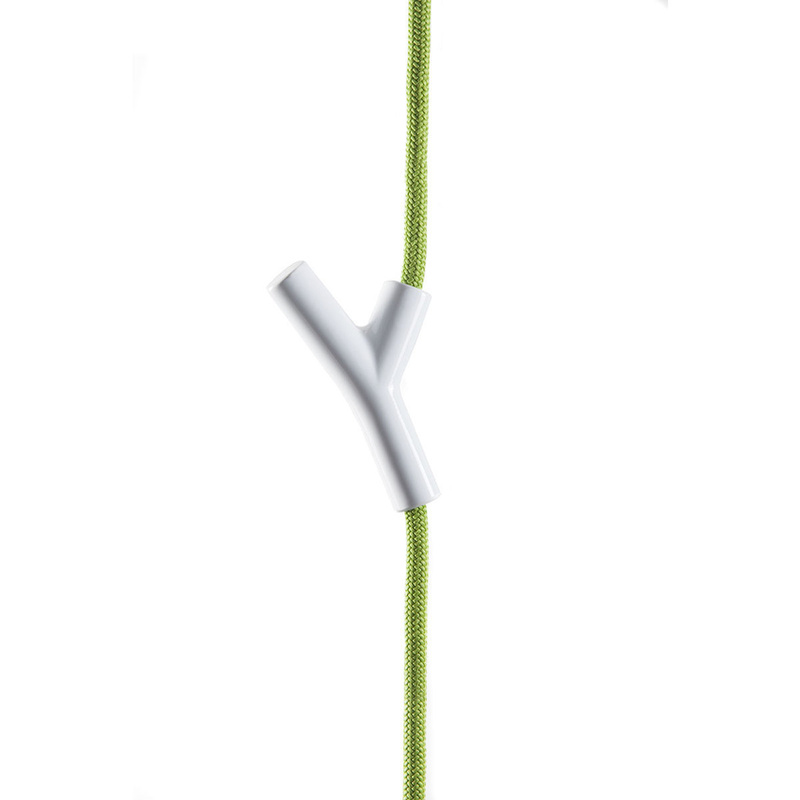 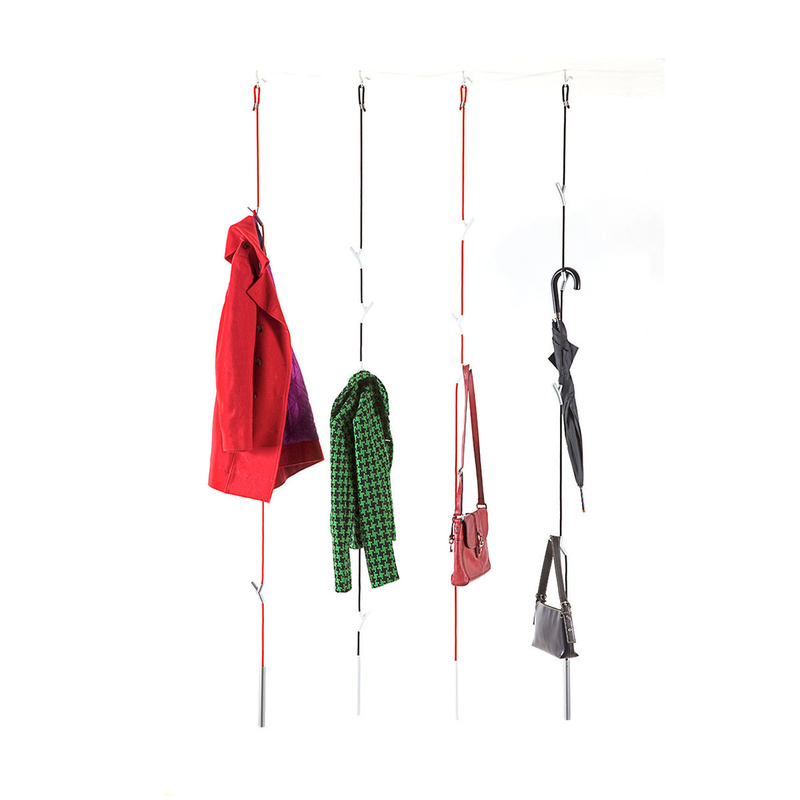 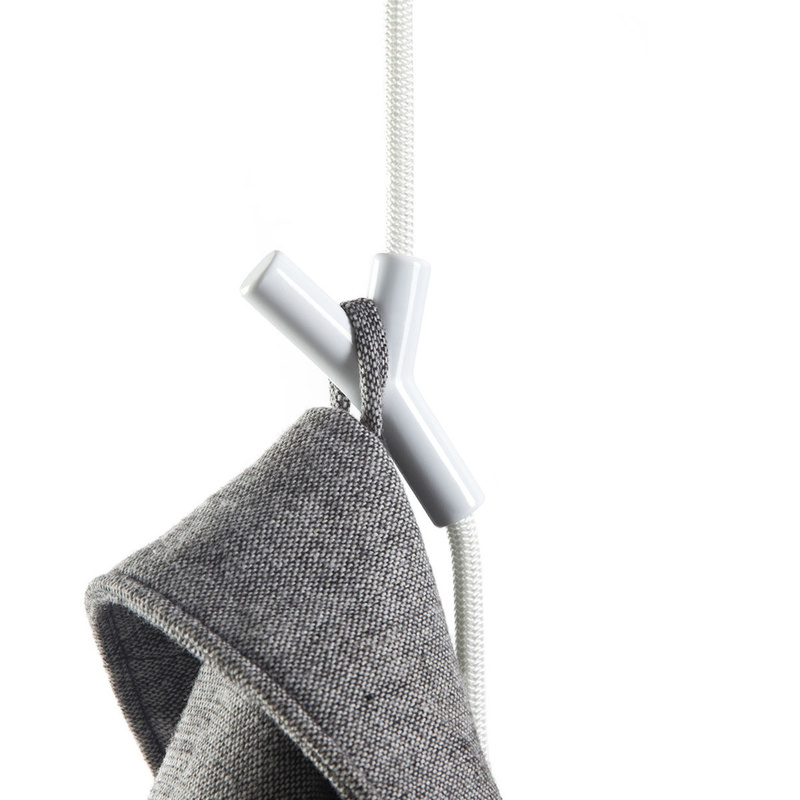 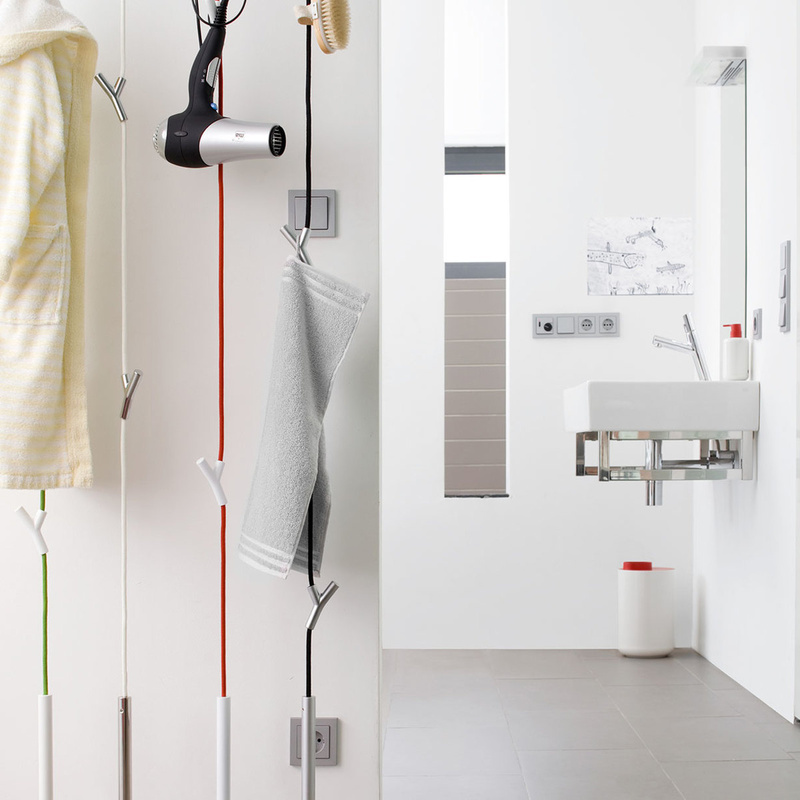 Four Y-shaped coat hooks move up and down on the cord of the wardrobe. 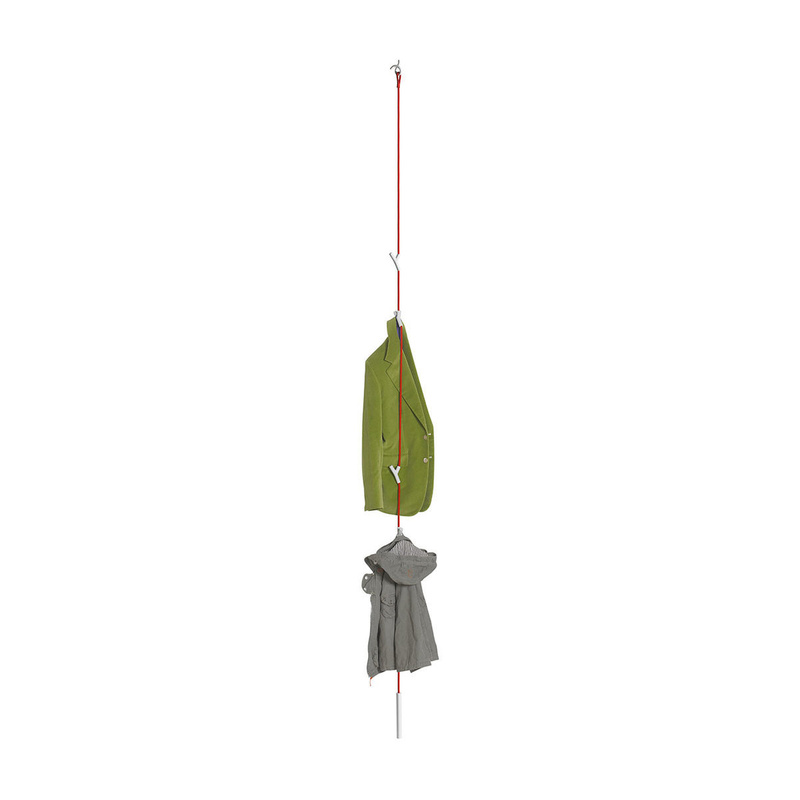 When clothes are hung on, they instantly fix in position. 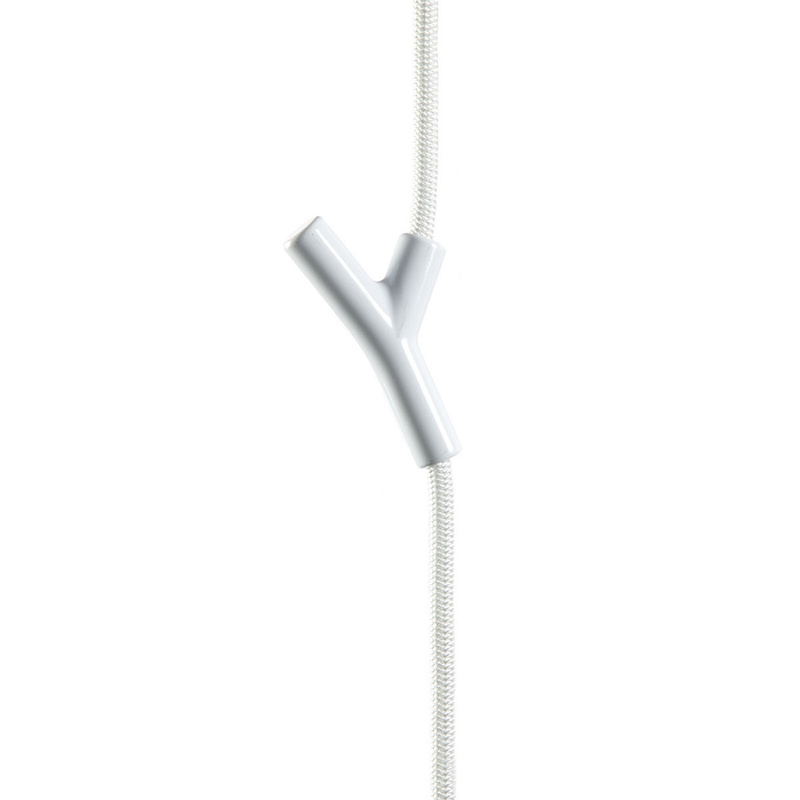 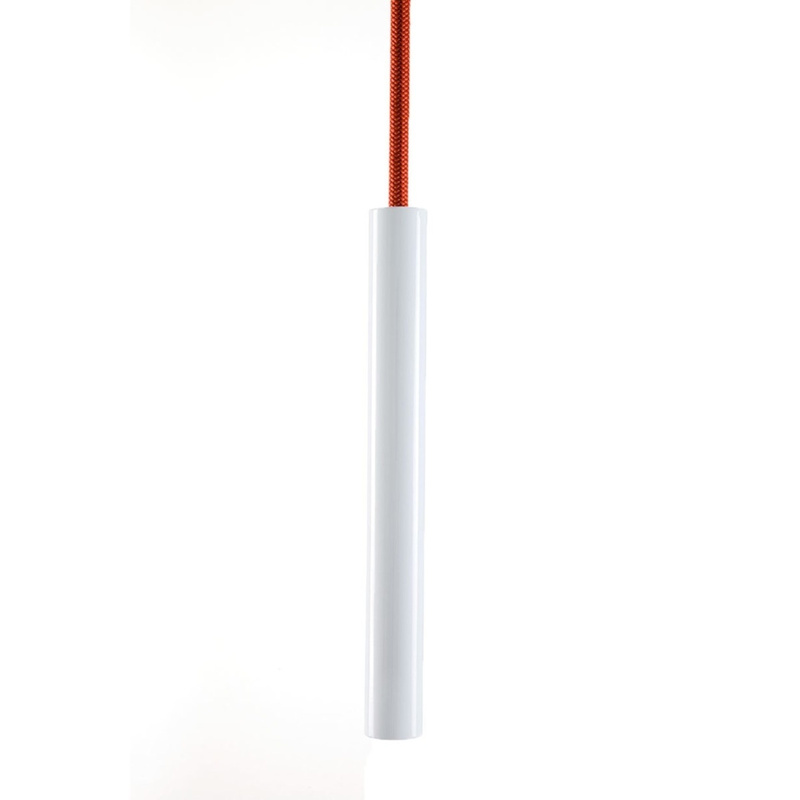 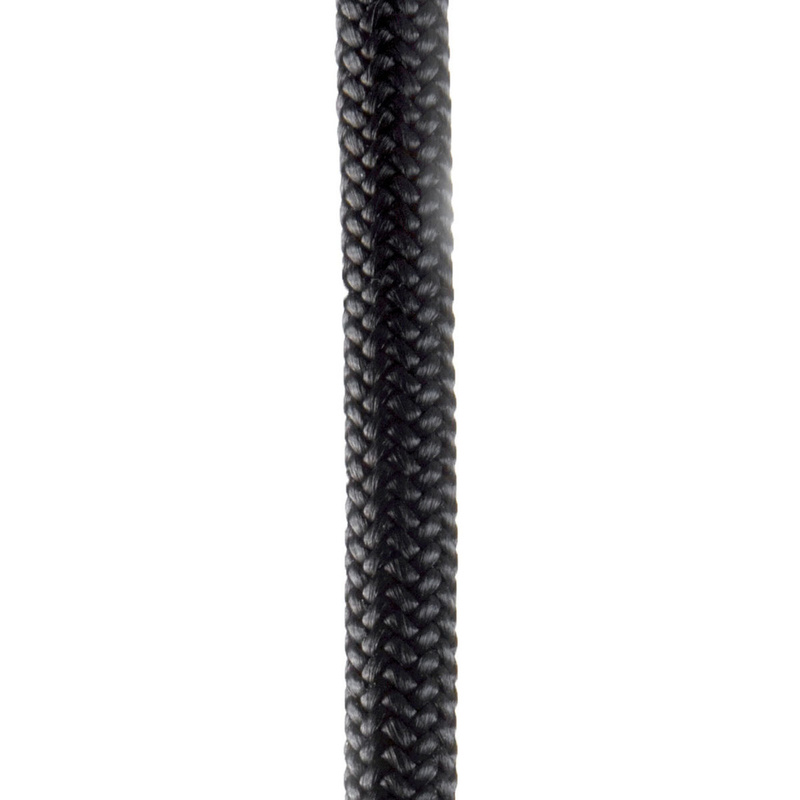 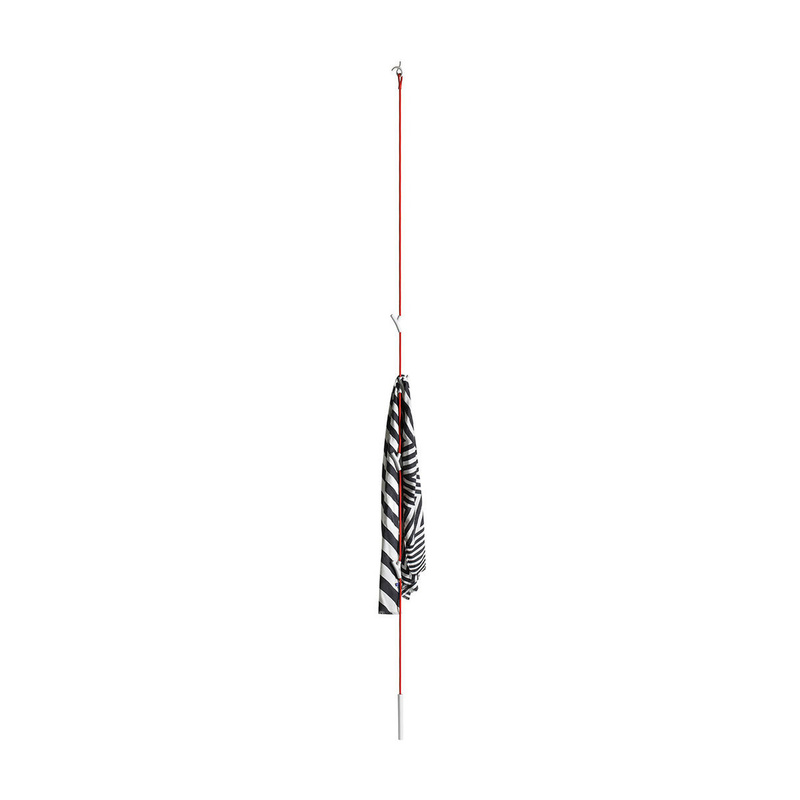 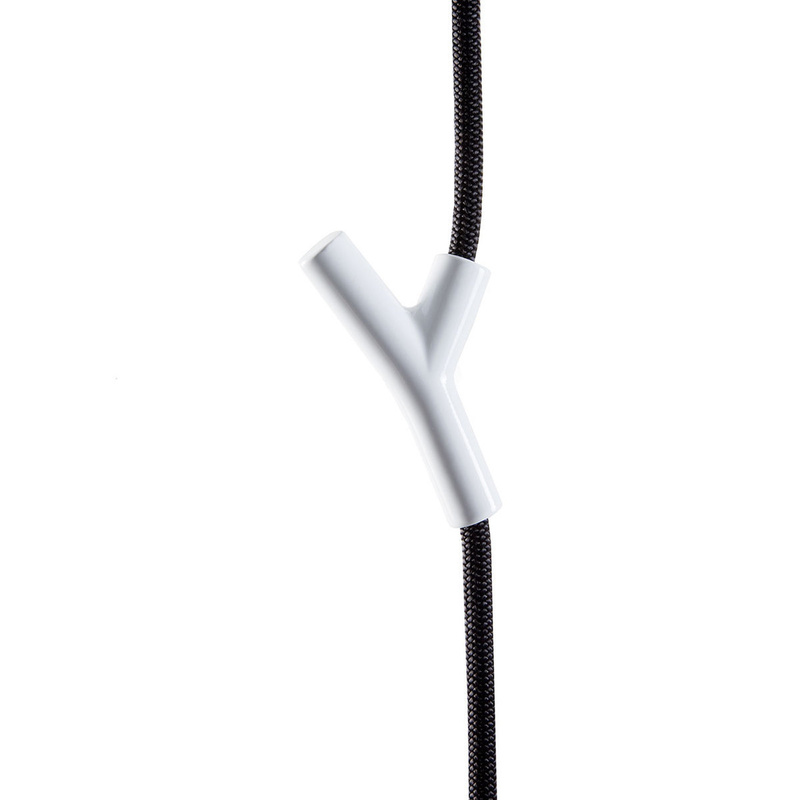 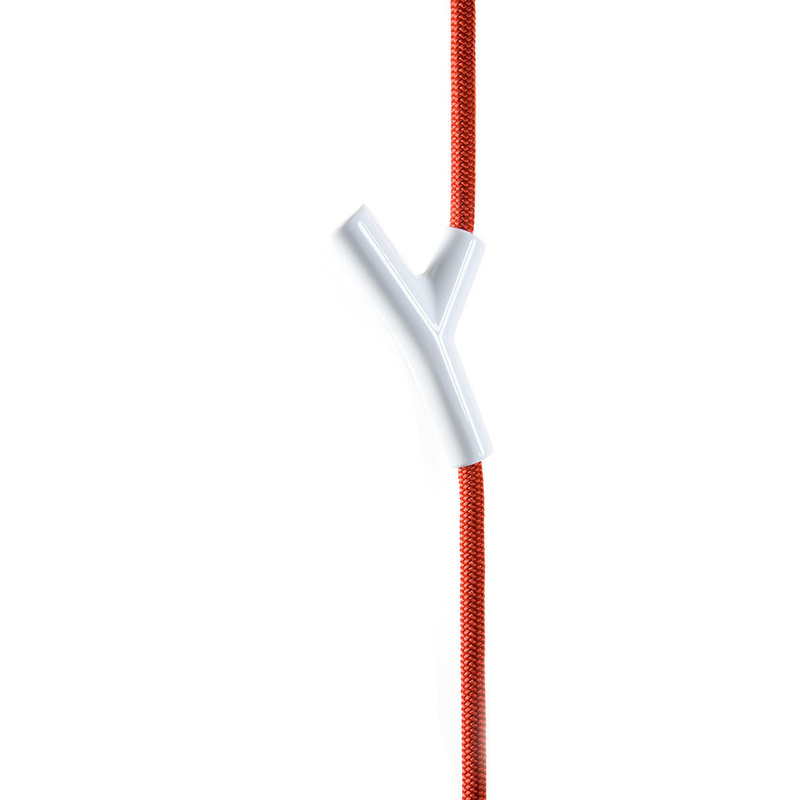 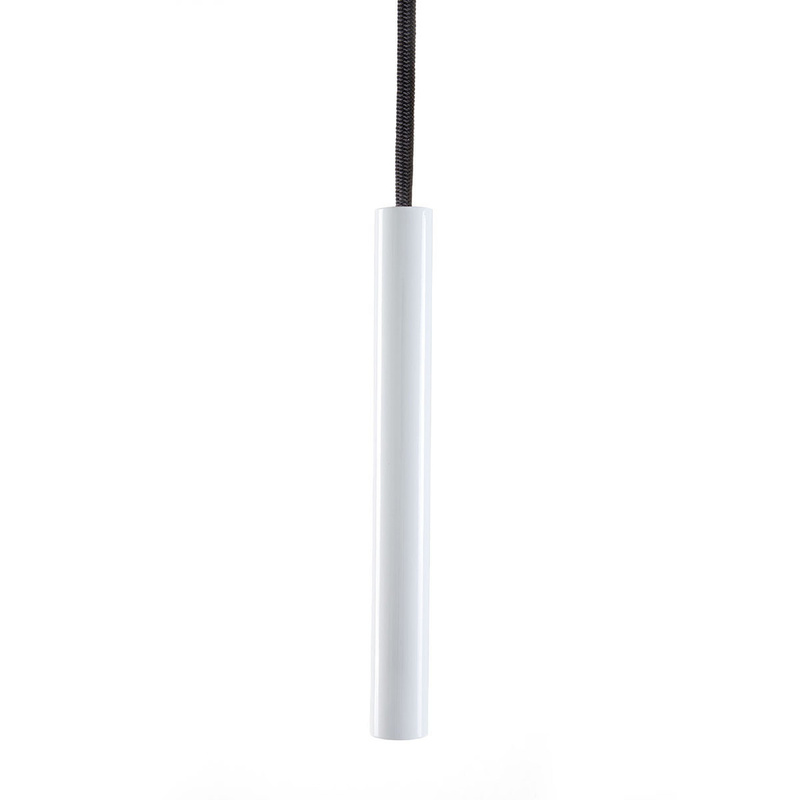 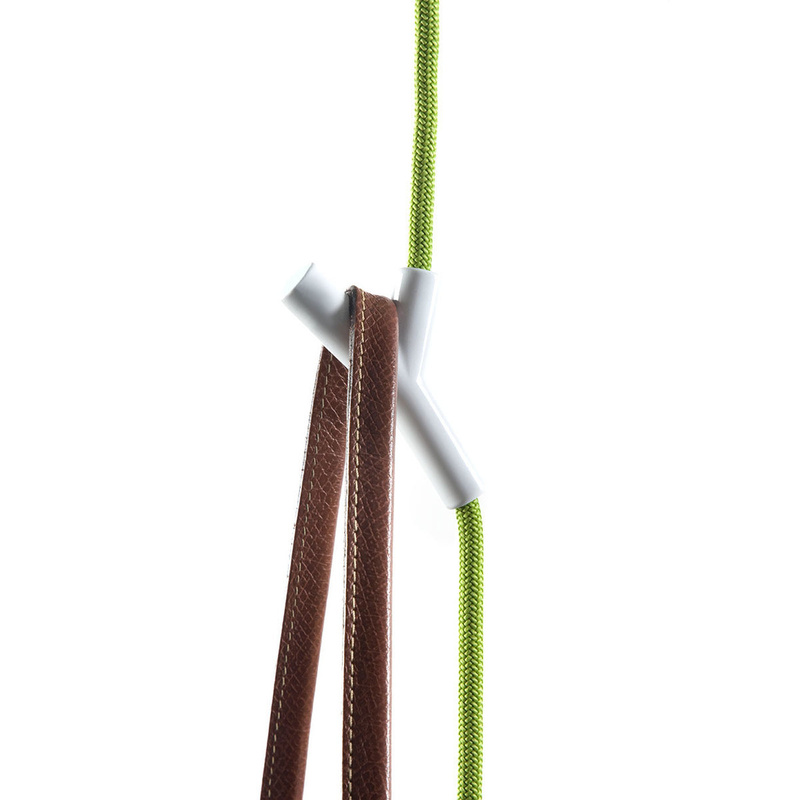 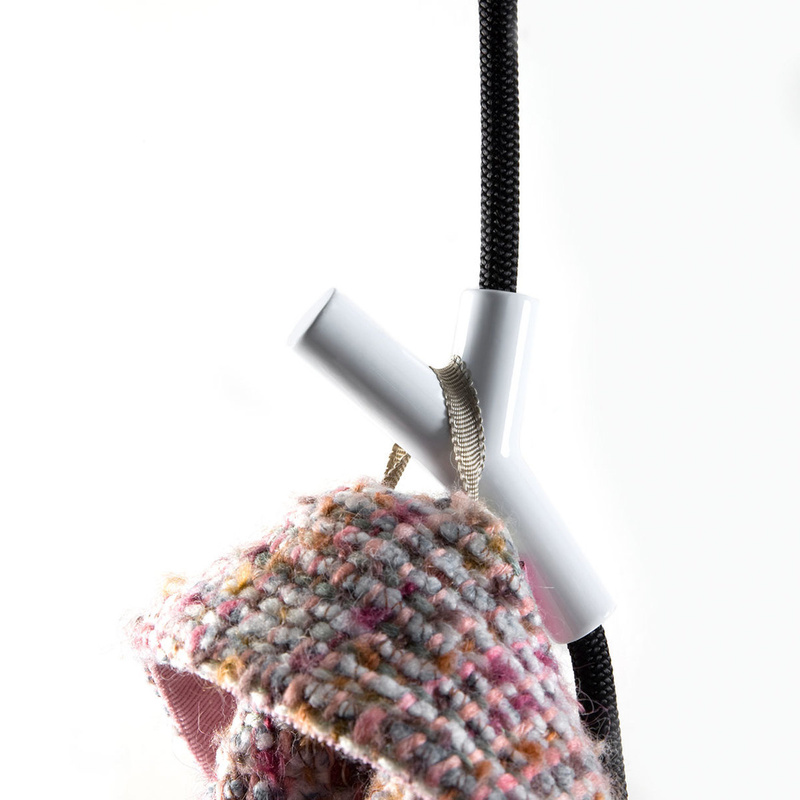 The polyamide rope is connected to a ceiling hook or the wall mount and is hanging down, straightened by a solid metal weight.